Home › Looking to purchase a trailer? February 9 in Looking to purchase a trailer? 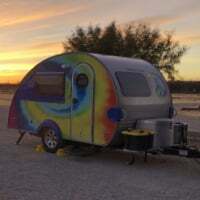 My spouse and I are looking for a trailer for a 3-4 month U.S. road trip starting in April. We have looked at a number of [email protected] and found that a family friend was selling a well-maintained 2015 [email protected] 320 for $11,000. We were about ready to pull the trigger when my mother found a 2008 [email protected] for a shade under $12,000. They are both in good condition, although the [email protected] has seen a little more wear, as expected. We think both trailers are great, so we are torn between the two. Do any of you have any strong feelings--is either a "can't pass up" deal? Is there a reason the [email protected] stopped being made and we should avoid it? Anything else? Any advice welcomed. As we see it, the biggest perk of the [email protected] so it would be a little more homey because it has so much more storage and space inside. The biggest drawback of it is probably the size of the bed (a double vs. almost a queen in the [email protected]). The [email protected] is totally ready to rock and would come with lots of bells and whistles (tent, cords, adapters), but is certainly a small space to spend a couple months in (not that we plan to have too many "stay-at-home" days while exploring). In case it helps, we are both experienced travelers and traditional campers, but not RV/trailer campers, and will be joined by our mid-size (50lb) dog. We have a 6 cyl Tacoma to tow with, so weight shouldn't be an issue with either. I think the better value is the TaB. The Tada was a Dutchman/Thor trailer - not a nuCamp/Pleasant Valley Trailer trailer. You don't say where you are headed, but if you can make use of the tent, it will double the footprint of the TaB without increasing your mpg! 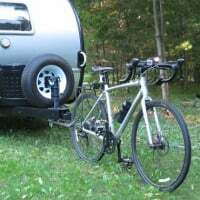 Most folks spend their time outside or under an awning or a tent (this is camping), so the extra footprint of the Tada may not be as meaningful. I am not sure about the weight of the Tada, but you will be fine with the Tacoma and the TaB. You may want to consider how long you plan to keep and use the trailer. Not sure how easy it will be to sell an older Tada vs a newer TaB. Also, you have this forum with lots of current TaB info - not so much Tada info. I think you may find more Tada members over on the Yahoo Tab forum or on Facebook somewhere. @OurTipsyTravels, it is nice to have such a choice to make, but you are approaching this choice with no base knowledge, and that can make things muddled. The tada, as Sharon mentioned was made by a different manufacturer. They used wood in the construction. Wood is prone to water damage and the previous owner would have to have been meticulous about maintenance and storage to have prevented all water related problems. All of the mechanical systems of the tada are older. Just like what happens buying an older car, the components are older, have that much more wear and are more likely to fail or need serious upkeep. The plus is more interior space, but if you are campers, your experience is more out in the environment than the interior of a trailer. The [email protected] you are considering, is made by a company still invested in continuing their manufacture. It is newer. Systems are newer and have encountered that much less wear. I think the 2015 [email protected] might still have a layer of plywood in the flooring, but all shell components are composite material with aluminum reinforcing so there is no possibility of water invasion in the shell of the trailer. Termites and other invaders don't find the composite and metal framing tasty. The alde for heat and hot water are incredible, quiet and clean. Less interior space is true, but you can make yourselves very comfortable in the [email protected] Our very first trip saw us travel 10,000 miles, 25 states in 6 weeks. And there are 4 of us. Husband, self and 2 growing boys. That first year they were 10 & 11. This summer they will be 13 & 14 and we bring everything to keep them happy from bikes to fashionable clothing, games and electronics (new this year). You will have room for your 4 legged child. The set up and readiness of the [email protected] is incredibly freeing. I agree with all of the above. What model of [email protected] are you considering, and what options are included in the [email protected]? If you are comparing to the most common [email protected] Max-S, the [email protected] will have a bigger fresh water tank (22gal), but no black or grey tank. The toilet is a 5gal cassette model. The shower is optional with a separate "tote-along" grey water tank. A water heater and LP furnace also both appear to be optional. If the more modern utilities are important to you, you should compare these details carefully. Decisions, decisions! We love our [email protected] plenty of room for us because we don't spend much time inside except to sleep or change clothes (we have a clamshell so cook outside)... and easy to tow. Also know two [email protected]@ owners who love their trailers. Good luck! Be sure to keep us posted on what you end up getting. We have had a [email protected] since 2012 and have really loved both the inside and outside kitchen models. Last fall we had the good fortune to find a [email protected] in good condition just an hour from home. We were hooked the moment we saw it. We have both a cs and the [email protected] and if we had to get rid of one I am not sure which it would be. We will likely make the decision after this summer but the [email protected] is getting pretty rare and the extra room is pretty luxurious. If they are both in good shape you can’t make a bad decision. 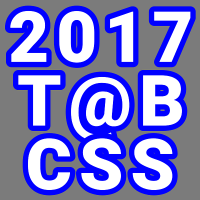 2014 CS, tie-dyed exterior, "Tabula Rasa"
One other thought, you have a reliable maintenance history with the TaB, seeing how it is owned by a friend. If you're on Facebook, join the group "[email protected], [email protected], and [email protected] Camper Trailer Owners". [email protected] owners really love them. Good luck. Crystal & Daisy, a yellow 2007 [email protected] Q previously towed by a 2008 Jeep Liberty, and currently towed by a 2016 RAM 1500.